“Just apply your mind and you’ll sniff it out in no time, sonny”. I grinned at my dad as we walked out of the house to climb into our station wagon. He had that ‘brimming with anticipation’ expression where he was pushing me to get it right, just like when I tried cracking a Math problem. The words “You almost have it son. You have almost got it. C’mon!! !” kept echoing in my ears and mind. The hand that came to pat me turned into a flash of lightning clapping me and pushed me with a mammoth force that I crashed on the left side of my ribs and I smashed into something hard. I woke up with a start covered in sweat, my hair plastered onto my scalp. I looked outside the window. 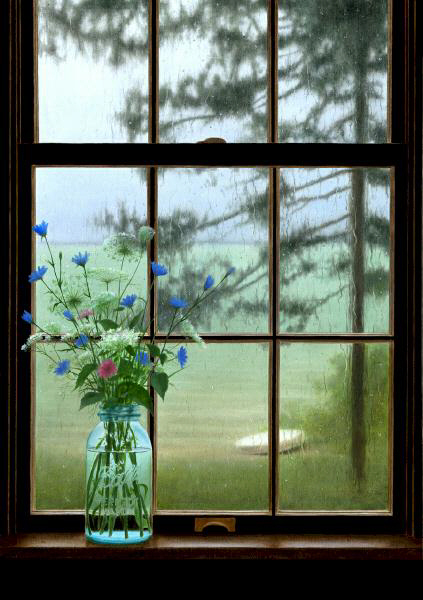 It was almost early evening, soft rain pattering on my window and the smell of cool fresh air filled the room. I sat panting heavily. My mom rushed into the room with a worried expression removing the oven mitts off her hands, and came to stand next to me. She pushed my hair off my forehead and asked, “Brody you alright? Was it one of your nightmares again? I thought you’d hurt yourself and screamed in pain.” She sat beside me on my single bed and picked up my hand, encasing it in hers and she rubbed my palm, her mindless action soothing off the last vestiges of my nightmare. I half smiled at my mother thinking about how unique mothers were with their unparalleled sense of perception where their children were concerned. And I wondered how she knew I was in pain! I just nodded my head to confirm that it was one of my usual nightmares and reassured her that I was okay now. She said, “Do you want to come help me cook dinner or do you want to go back to bed?” I replied stretching out the kinks on my neck and said -“I will just go for a run I think. I need some fresh air to clear my head”. She patted my cheek and gave me a quick hug. I quickly changed into my jogging tracks and sweat shirt, put on my sneakers and stepped out of the house. I looked up at the sky and saw it was drizzling. I put the key into the ignition and drove down towards the regional reserve nearby. After the huffing and puffing run behind Molaga, both of us returned home hungry and tired. I rummaged around the cupboards for Molaga’s food. As far as Molaga is concerned, I suffer with a ‘blinded by love’ syndrome. I let him get away with the worst of his behaviour but in the end that would amount to a big nothing compared to the kind of retribution I can get, which is pure boundless happiness and joy. So my relationship with Molaga is somewhat akin to a 60’s Indian wife devotedly waiting on her husband to finish dinner. It’s such an irony. And I am supposed to be the human!!! Molaga always knew that I put him first, food wise. So when he heard the sound of me opening and closing kitchen cupboards, he immediately strutted up to the kitchen and watched me intently while I cut up his food packet and emptied it into his bowl. The bowl barely touched the ground and Mr.Gobbler attacked it with the avid hunger of a guy who hadn’t had food in a thousand years. I rolled my eyes and sighed. I felt hungry but the run that evening had just about done me in for the day. I settled for Spicy instant noodles. Molaga eyed me from time to time to see if I was eating. I sometimes feel, he checks up on me from time to time, you know just to ensure I was okay. Wow, I must be in denial to even think that. The truth of the matter is, in the real dog world, it is to ensure he wasn’t left alone of course. I stretched out on the sofa and flicked the Television on and started watching “The Big Bang Theory”. Molaga joined me up on my couch and snuggled up cosily at my feet. After a while of blurring images and flickering light, my eyes started drooping. Molaga saw that I was falling asleep and nudged at my bare feet as if to say let’s go to bed. Sometimes he is more human than canine. I looked at him fondly and realized he had filled the emptiness of my life with the love shining out of his warm brown eyes. Recovering from the acerbic aftermath of my relationship, I guess my craving for love and loyalty was more a priority on my list, on my road to recovery and normalcy. I got up and tucked him up in his bed. Turned off the lights and hit the bed like a sack of potatoes. The Karate Kid remake was, to describe in one word, ‘”O“sum’. I loved every bit of the movie. Jaden Smith and Jackie Chan made a fantastic duo. Jaden was a miniature replica of Will Smith. And his acting and talent stood out. Not at all like the shoddy wannabe Karate champ like the kid in the original movie. Jaden’s attempt at authenticity, was refreshing and it definitely looks like he has done his home work. His moves and flexibility was so genuine, he left me in awe for most of the movie. He acted with such a casual air as if he were born to do it. Jackie Chan’s performance was toned down and low-key, but probably just what the role required. Jaden and Chan had a good chemistry of a student and teacher. His wardrobe looked frumpy but I guess it was customized to project his role as a maintenance man. Jackie Chan was presented in a totally down to earth manner, but very inspiring. I still remain a fan of his, and I could see some really authentic Kung Fu moves. It was great to see him in action again. The role of Jaden’s mother was also well justified. A typical mom who loves her kid to bits and brims with pride at his hard work and achievement. She was good too. The movie was packed with light and humorous as well as emotional moments. It was very well laid out. This movie is worth watching more than once. I will never look at removing and hanging one’s coat the same way again. And the cobra exchange by Jaden on his opponent was something so well-played out. During the showdown at the tournament, the audience was so involved, I could hear them cheer for Jaden when he scored a point against the enemy. Such was the involvement of the audience. And China was shown in such a breathtaking manner. It was charming and beautiful. The locations and cinematography was simply out of the world. The colors, the architecture, the culture, the decorations, the festival, the Kung Fu school etc was shown in full form. It was a wonderful projection of China as it is today, with a blend of traditional as well as modern scenes of China. On the whole, I rate the movie 4/5. Enjoyable and worth watching more than once. It was a pleasant cool late afternoon. Molaga* and I went for a walk. I usually take him to a nearby park for a stroll. Since he was in his best behaviour during the past week, I decided to take him down a bit further to one of the paw-friendly regional parks with splendid beaches in the north. Molaga saw that this was a new place, and he started acting in a frenzied manner as if he hadn’t been let out in ages. So as a result, the moment I popped the car door open, the mutt flew past me like a bullet chasing the poor sea gulls and pigeons that were peacefully pecking away at the ground. I called out to him and told him to calm down. But he just won’t pipe down until he had run off the excess energy he had today. I didn’t have the heart to hook him on the leash and let him have fun and sniff around. I followed him around. We approached a cute little wooden bridge that stood over a beautiful little creek. And I pointed to it and told Molaga, to see how cute this place was. And suddenly his ears perked up and he took off. I chased after my golden retriever yelling out – ‘Molaga!!! Molaga!!!! Come here, right now!!!”. The naughty young mutt ran past the bridge and tried slithering through a rabbit hole. And I just barely managed to grab his collar before he got away again. I dropped to the ground on my knees to catch my breath. Something white and dirty caught my eye at the edge of the rabbit hole. I bent over and peered into the underground tunnel. And I saw that there was a dirty white coloured bundle that Molaga was trying to pry out of the ground. I put my hand out and pushed his nose out-of-the-way. He was miffed by it but put up with me. “Ever curious”! I thought myself. I pulled the bundle out. Its was knotted up at the top. I struggled to undo the knot. While my hands were working away at the knots, I looked around at my surroundings, while Molaga patiently watched me with ever-growing irritability as to when I will get it over with. On my right ahead, was a thicket of trees and a clearing with glimmering black sands leading its way to the pristine blue beach. On my left were more walkways, barbeque bench tops and burners. I look around for people, but there was not much sign of activity. This particular area looked as if no one had visited here in ages. And it was as though this place held a secret. My mind immediately thought, this is just the sort of thing Enid Blyton would write for her mystery lovers. I read the piece of poetry over and over again. Trying to think what on hell’s hole this weapon might be. I turned the paper over to check for further clues. And it read on the other side -“Happy Birthday Son! Your present awaits you! That is, if you manage to crack its location! Haha!” My first thought was what a cheeky dad this guy must have been. And the second thing I thought was -“Wow! What a cool way to say Happy Birthday to their child”. And a melancholy thought struck me just about the same time. That “I” opened this bundle. And the child never got to open his dad’s present. The thought saddened me. Molaga of course thought that I was upset with him as I had suddenly gone quiet all of a sudden. He started licking me all over my face saying sorry and that he will behave. And I thought, -“As if”! I decided on the spot, that although this father’s gift didn’t reach his son, at least I can try to make it some other little boy’s day! Yes. I resolved to crack this puzzle. It was getting late and decided to come back here again. I made cross marks on few trees leading up to my secret rabbit hole on my way back home in case more clues lay nearby. Much more of the story coming up. Stay tuned!